Valid on Movie Tickets. Cashback will be credited within 24 hours of the transaction into user’s PayTm Account. Weekday MoviEcard 399 entitles the user for Unlimited New Movies from Monday to Thursday. Valid for 30 days. My Show. My Time. My Seat. • The offer is available to Airtel Payments Bank customers only. • User can avail Rs. 100 cashback on the first and the third train ticket booking on IRCTC by paying through Airtel Payments Bank account or Airtel Money wallet. • Maximum cashback is of Rs. 200 on minimum ticket purchase of Rs. 500 in a single transaction during the offer period. • Cashback would be credited within 72 business hours in the user’s Airtel Payments Bank account/Airtel Money wallet. • Offer is valid from 5th December 2017 to 31st January 2018. • The offer is applicable only for Airtel Payments Bank customers: a) savings account customers, b) wallet customers (Airtel Money). 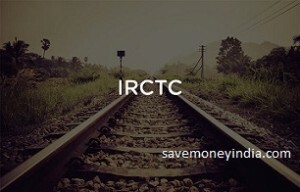 • User can avail 10% cashback on the transaction amount (train tickets only) at IRCTC website by paying through Airtel Money. • Maximum possible cashback is Rs. 50 / txn. 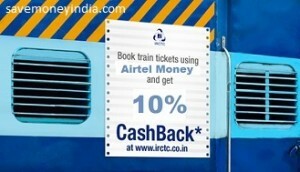 • Offer is applicable for first 50 thousand users paying through Airtel Money on IRCTC website. • Offer is applicable once per user during the offer period. • Cashback would be credited within 48 business hours in the user’s Airtel Payments Bank account. • Offer can be availed up to 31st July 2017. • Minimum 2 tickets need to be booked. • Discount will be applied only on ticket cost, not on Convenience Fee and Service Tax. • MoviEcard purchased or renewed during the period from 24th February, 2017 to 31st March, 2017 will be valid till 30th April, 2017. • This Card is valid for upto 3 shows of the same movie title. • Tickets booked online will be subject to a convenience charge. 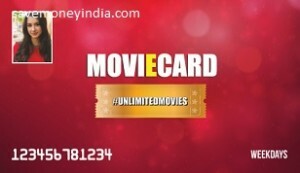 • MoviEcard is valid at select locations across India. • Activate MyWallet and get Rs. 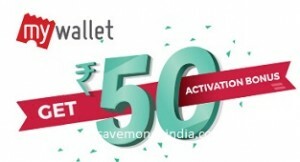 50 as activation bonus. • Bonus will be given as BMS Credits and will expire after 30 days. 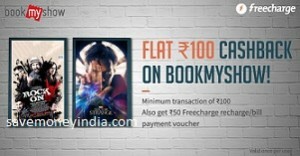 • BMS Credits can be used to purchase any movie, event, sports, plays or experiences on BookMyShow. 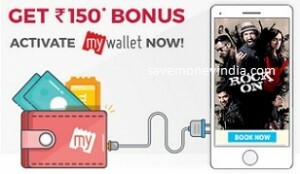 • Use code GET150 on BookMyShow and Get 100% FreeCharge Cashback upto Rs. 150, Once per user. Also get 50% upto Rs. 150 Instant Discount on the transaction value. Minimum 2 tickets required to avail the cashback & discount offer. • GET150 code needs to be applied to avail the instant discount and Cashback. • Offer is valid once per user during the offer period. 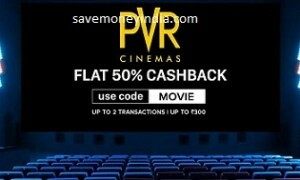 • Can be used for Online as well as Off-line purchases at PVR’s Box Office. • Discount NOT applicable on Convenience Fee & Service Tax. 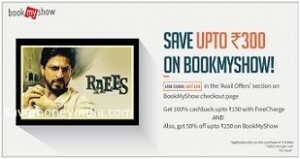 • Can be used for online as well as off-line purchases at Inox Box Office. VALID for F&B Purchase as well. • Voucher valid in ALL cities where INOX has its presence. 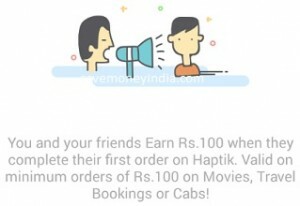 Haptik is offering Rs. 100 Cashback on Rs. 100 on Movies & Cabs. 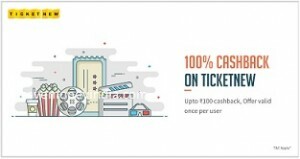 • Get 100% Cashback when you pay with FreeCharge on TicketNew. • Maximum cashback of Rs. 100. Tixdo is offering 50% off on Movie Tickets. • Minimum transaction amount of Rs. 100. • Also get 100% Cashback coupon code via SMS/Email in 24 hours. Valid on successful Recharges/ Bill Payments done till 6th Dec 2016. Max Cashback of Rs. 50. • Get Rs. 150 bonus. Activate MyWallet now. • Rs. 150 bonus will be given as BMS Credits and will expire on 5th day from the date of activiation. • Flat Rs. 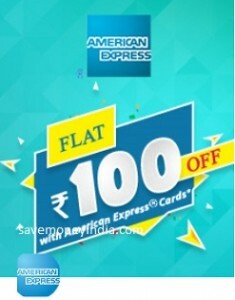 100 off when you save your American Express Cards on Quikpay on BookMyShow and use it in your movie transactions. • Offer valid on movies only. • Customer can book the tickets throughout the week but only for shows on Thursday, Friday, Saturday & Sunday during the offer duration. • Offer valid on mobile app only. • Customer can avail the offer only once. • Upto 100% Cashback on 2nd Kabali movie ticket upto Rs. 150. • Offer valid on booking of minimum two Kabali Movie tickets. • This Promocode is applicable only for movie shows on 27th & 28th July, 2016 booked on 27th July 2016. • Cashback will be credited within 48 hours of a successful transaction. 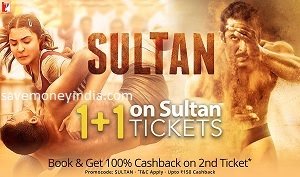 • Book 4 Sultal Movie Tickets & Get 100% Cashback on 2 Tickets. • Upto Rs. 300 Cashback. 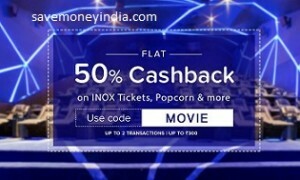 • Get 100% Cashback on the ticket price of one movie ticket or Rs. 150 whichever is lower. • Offer valid on booking of minimum two tickets for Cinepolis Theatres only. • Book movie tickets through MyWallet on BookMyShow between 20th July, 2016 and 23rd July, 2016 for any show in Tamil Nadu. 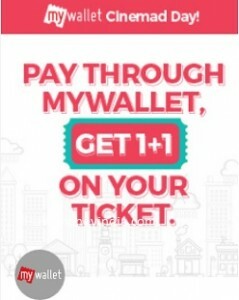 • First time BookMyShow Transactors get Buy 1, Get 1 ticket offer: 100% Cashback on the 2nd ticket purchased, up to a maximum of Rs. 120 . Minimum 2 tickets needs to be purchased. • Existing BMS Transactors get Rs. 50 Cashback. Minimum 2 tickets needs to be purchased. Buy Movie Tickets on SnapDeal App & Get an Instant Discount of Rs. 50. • Under this Offer, Idea Money Wallet holders are eligible to get a Cashback of the value of one ticket for the Movie Kabali, upon the purchase of two or more tickets by using Idea Money wallet for one transaction. • Minimum two or more tickets needs to be purchased to avail this offer. • Cash back to the value of only 1 ticket will be credited to the customer irrespective of the number of tickets purchased by the customer in a single transaction. • The Cashback shall be credited by Idea Money in the Wallet within 7 days from the time of transaction on best effort basis. • Get Rs. 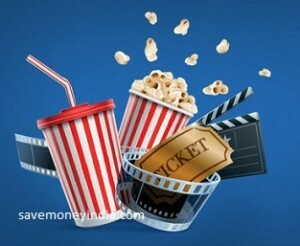 75 Cashback on the purchase of minimum two movie tickets. • The maximum Cashback amount that can be redeemed is Rs. 75 or the transaction amount, whichever is lower. • Offer is limited to 3 transactions per user during the offer period. • This promocode is applicable on selected cinemas only. • Get Rs. 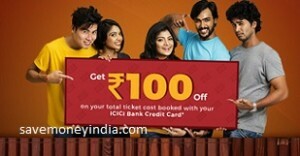 100 off on your total ticket cost booked with your ICICI Bank Credit Card. • Free tickets will be offered under the offer for each day in four blocks, starting at 12AM, 11AM, 3PM & 7PM until stocks last. 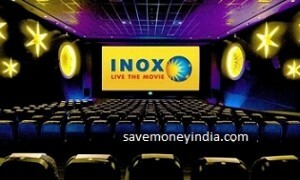 • Can be used for online as well as off-line purchases at Inox Box Office. • Not valid for food & beverage. • Voucher is valid for one transaction only. • Get 100% Cashback on the ticket price of 2nd movie ticket upto Rs. 150. • This is a limited period offer valid on booking of minimum two tickets. 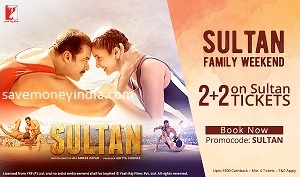 • This code is applicable only on booking Sultan movie tickets.